A number of news and entertainment programs have been banned ahead of the Chinese Communist Party National Congress. Ahead of the 19th National Congress on October 18, the Chinese Communist Party (CCP) has decided to shut down a number of Chinese television news and entertainment programs. The ban includes the popular program Qiang Qiang San Ren Xing, which has been broadcasted for the past 19 years with hundreds of thousands of loyal fans. Its sudden shutdown led to a big wave of criticism at home and abroad. Qiang Qiang San Ren Xing is a Chinese talk show broadcasted both on air and online every weekday. 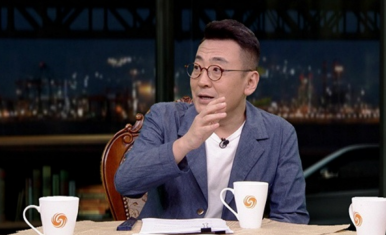 The show focuses on the latest news developments with the host “never crossing the red line in China’s censored political climate,” as one analyst said. The show announced on its Weibo account on September 12 that it will “temporarily” go off air stating that “the company is adjusting the programs.” The statement did not indicate when and if the program will come back on the air. The announcement immediately triggered hundreds of questions and comments. Weibo soon deleted all contents related to the show including the statement itself. Now, if anyone searches “Qiang Qiang San Ren Xing” on Weibo, they will find the notice that “according to the relevant laws, regulations and policies, the search results have not been displayed,” a notification that indicates that the program has been censored by Chinese authorities. In addition to the famous talk show, two less well-known shows produced by the same media company have also been shut down. Furthermore, multiple TV stations have removed their high-rated and most-watched entertainment shows at prime time without any notice. The collective shutdown can be traced back to a July announcement by China’s main media censor, the State Administration of Press, Publication, Radio, Film, and Television (SARFT) that it would selectively ban entertainment shows in order to “better welcome the major propaganda period of the 19th Party Congress” and “uphold a strong and comprehensive political view.” SARFT requires all TV stations to broadcast propaganda during primetime in the run up to the congress, including anti-Japanese war films and other movies intended to reinforce the patriotic education of Chinese citizens.